BNP on Saturday alleged that Myanmar is showing St Martin’s Island as part of its territory in its official map only because of Bangladesh government’s a ‘knee-jerk foreign policy’. “Myanmar is repeatedly showing St Martin’s Island as its territory in its map on the country’s official websites. We think Myanmar is showing such audacity due to our government’s knee-jerk foreign policy,” said BNP senior joint secretary general Ruhul Kabir Rizvi. 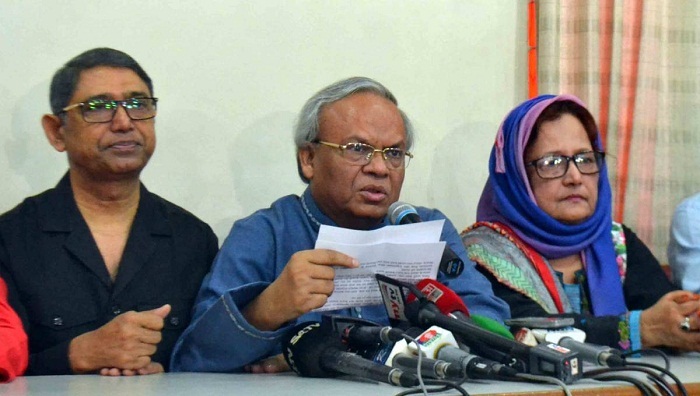 Speaking at a press conference at BNP’s Nayapaltan central office, he also said Myanmar’s such act is a direct attack on Bangladesh’s Independence and sovereignty. He said the government is least bothered about the country and its sovereignty since it ‘captured’ power cowardly at the dead of night though a ‘vote robbery’. Rizvi also said the government cannot resolve the Rohingya crisis due to its ‘subservient’ foreign policy. The BNP leader also criticised the government as the Border Guard Bangladesh (BGB) filed two cases with Haripur police in Thakurgaon on Thursday night against 272 villagers over Tuesday's clash that left three people dead.